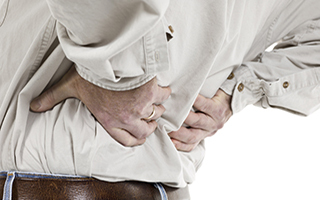 If you have acute low back pain, chances are your doctor prescribed acetaminophen (Tylenol). It's the first pain killer that doctors are taught to prescribe for this condition. The problem is, according to a recent large study, it often doesn't work any better than a placebo. And Tylenol can damage your liver if you take too much. In this study, researchers split 1,643 participants suffering from low-back pain into three groups. One group took acetaminophen three times daily for a total of 3,990 mg. The second group took the drug as needed and was allowed up to 4,000 mg per day. The third group took a placebo. The researchers first asked the participants to record their pain on a scale of 1 to 10. The mean score was 6.3. They asked the participants to continue taking the medication for four weeks or until recovery (a score of 0 to 1 on the intensity scale), whichever came first. After a week of treatment, the mean pain-intensity scores dropped for all three groups: 3.7 for the group taking acetaminophen regularly, 3.8 for those taking it as needed, and 3.6 for those taking the placebo group. By the second week, the scores were 2.6, 2.6, and 2.5 respectively, and by the fourth week they'd dropped to 1.7, 1.8, and 1.7 respectively. That's not much of a difference among groups! And the group taking a placebo actually recovered faster! For the groups taking the medication regularly and as-needed, median time to recovery was 17 days. But it was only 16 for the placebo group. All three groups also reported similarities in sustained recovery, sleep quality, and physical and mental quality of life. Clearly, acetaminophen doesn't seem to offer much benefit over a placebo. Doctors are just conditioned to suggest drugs rather than natural alternatives. And there are numerous safer ways to reduce low back pain: heat, ice, stretching exercises, and ibuprofen, to mention a few. Keep in mind that making healthy lifestyle changes such as losing weight and exercising can help keep your lower-back pain from recurring as well. Don't start taking Tylenol before exhausting other safer therapies. If you must take it, keep the amount below 4 grams per day (two tablets, three times a day). And when you've finished using it, make sure you support your liver by eating more green vegetables. One way is by having a smoothie with two scoops of Advanced Greens Formula once or twice a day. Don't forget to eat fruits and vegetables as well. You need their fiber to help eliminate some of the toxins from Tylenol.